Los Angeles/Orange County area is famous for its flashy and sugar coma-inducing desserts. Where better to find them all in one place? 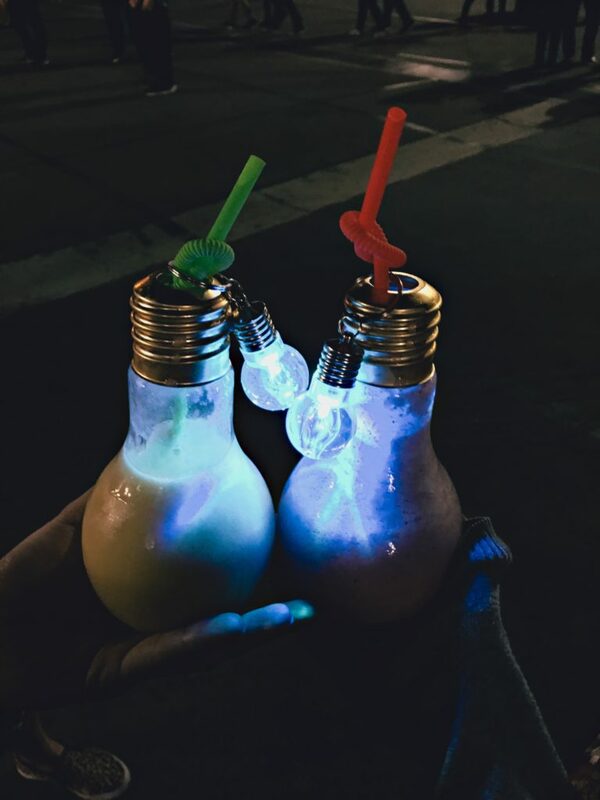 The OC Night Market and 626 Night Market are great night markets to go for a fun night out with friends and family. There are dozens upon dozens of food trucks and vendors to keep your tummy happy and full. The night markets typically have games and non-food vendors (Plants, artwork, clothes, etc.) too. Admission is typically $5 for adults and $8 for parking. Cash only! Some vendors may take credit card, but arrive with cash so you don’t have to end up using the ATM machines out front. 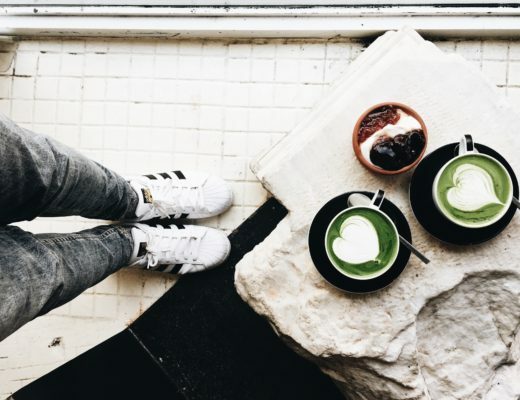 Main Squeeze – Lemonade with light cubes inside! Crescendo Ice Cream – Bucket of yummy ice cream! Ridges Churro Bar – Try the fruity pebbles sundae! PopDUp – A healthier type of soda! 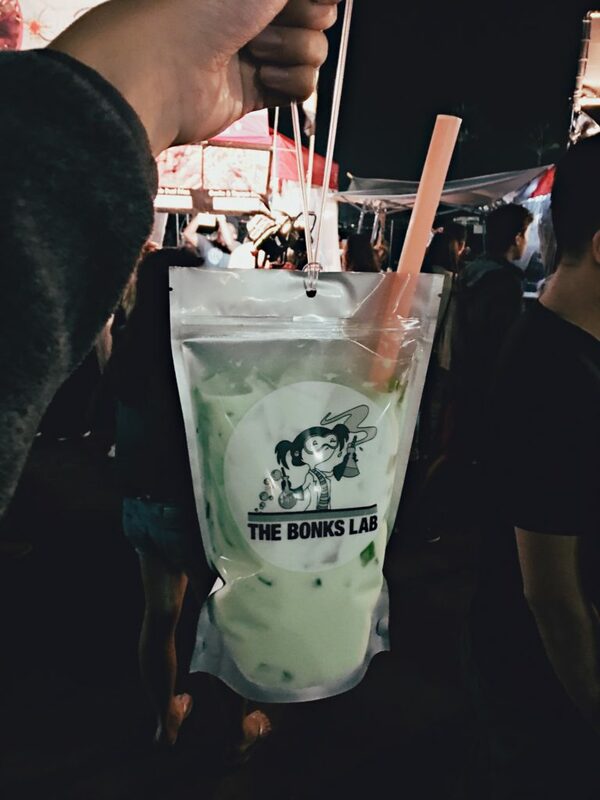 The Bonks Lab – Milk tea in bags–just like in Asia! 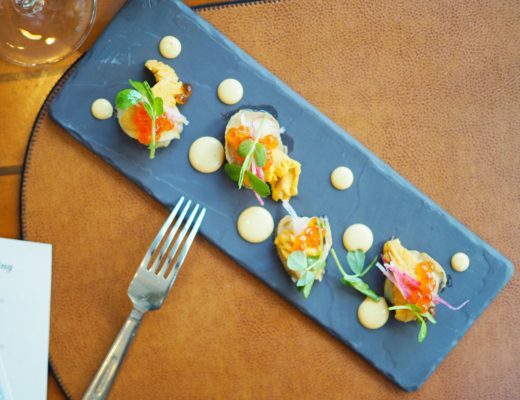 Beach Live – Raw Uni bowls! Squidies – Light blub jars! 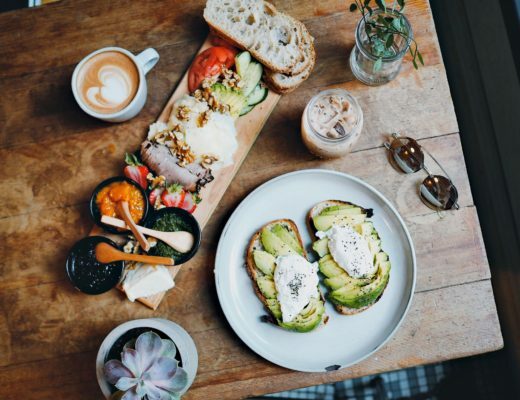 Ice Cream Garden – Try the rainbow grilled cheese! Norigami Tacos – Sushi tacos! To be honest, there were some vendors that we tried and would skip on next time. But anything that catches your eye is worth a try. (D-CAKE!!) It’s all apart of the fun to go hunt down your favorite treats. Dress warmly depending on the time of year. It gets chilly at night! Even in the summer time. Wear comfortable shoes. You will be walking around a lot and waiting in lots of lines! There is limited seating too. Use credit card when possible. Some vendors take it! Conserve your cash so you don’t run out of cash and have to pay those ATM fees. Carpool when parking is not free! Although I haven’t experienced traffic at these events before. Don’t spend your money on a lot of carbs like french fries or noodles. Try smaller varieties so you can get a taste of everything. Check their website for upcoming events and bring some friends, cash, and an empty stomach! 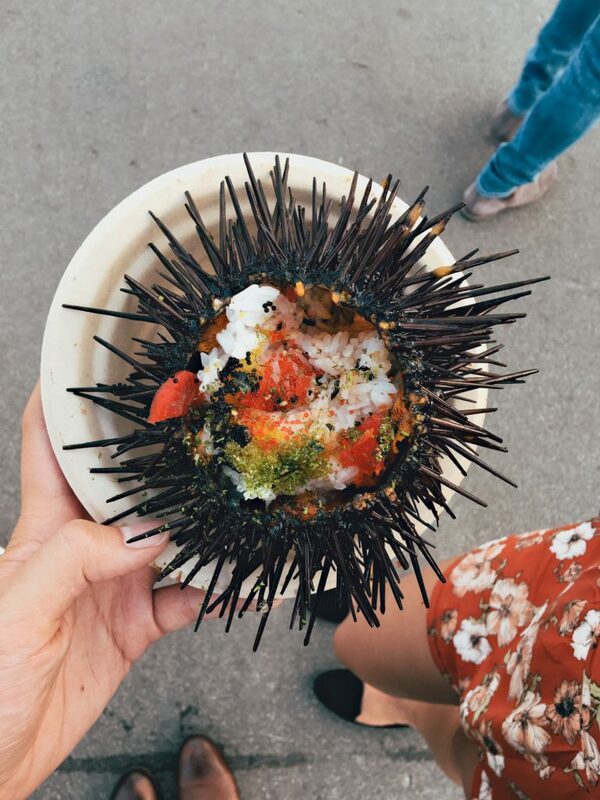 Uni Bowl from Beach Live at the OC Night Market. 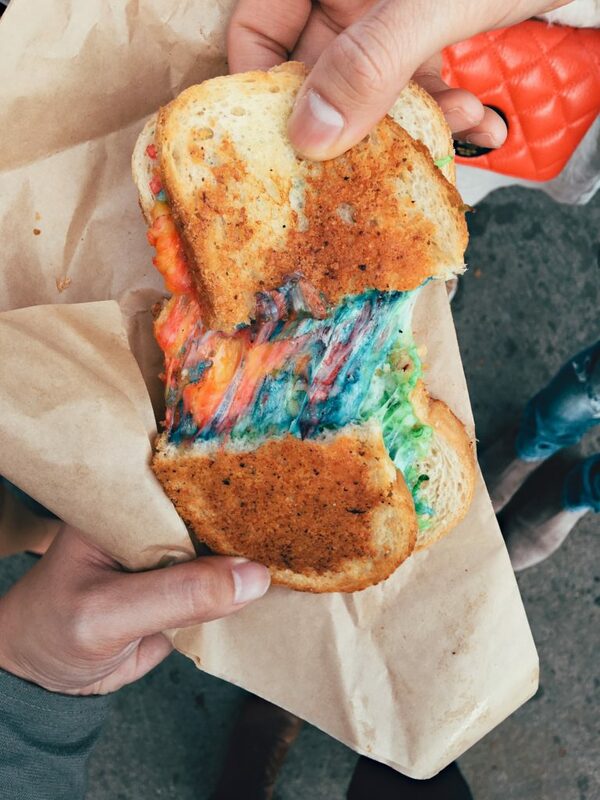 Rainbow Grilled Cheese from Ice Cream Garden at the OC Night Market. Buko Pandan Milk Tea from The Bonks Lab at 626 Night Market. 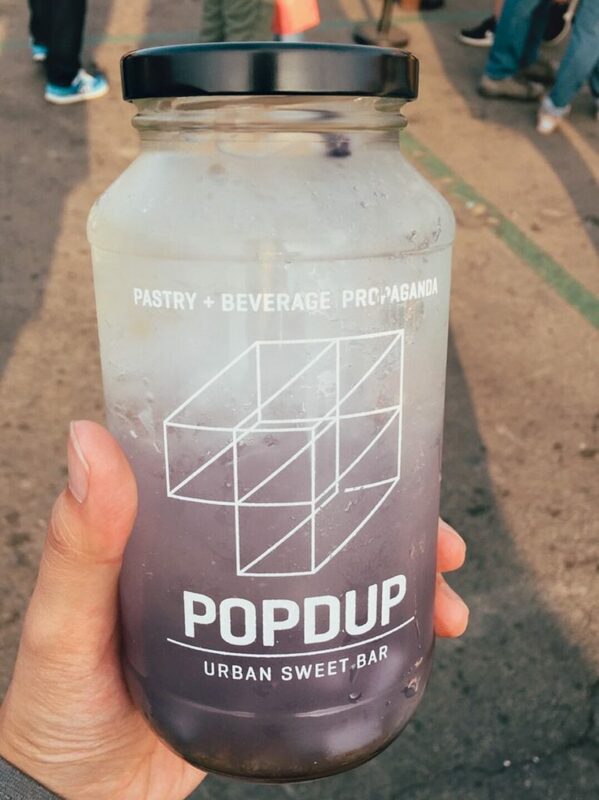 Soda from PopDUp at the OC Night Market. Smoothies from Squidies at 626 Night Market. 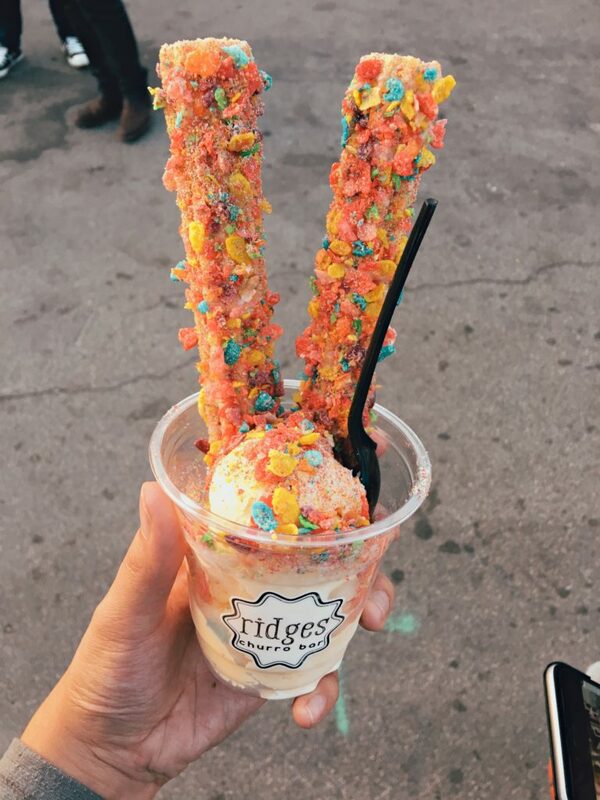 Fruity Pebbles Churro Sundae from Ridges Churro Bar at OC Night Market. 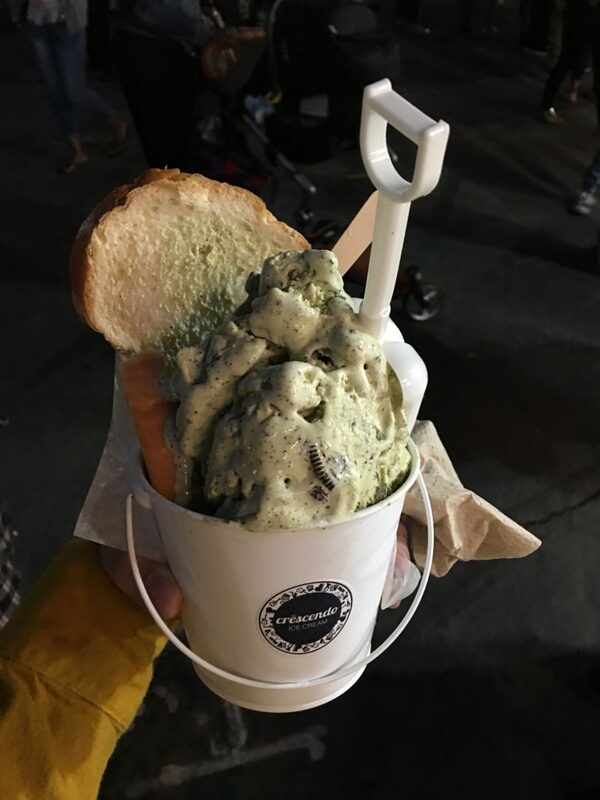 Crescendo Ice Cream at OC Night Market. 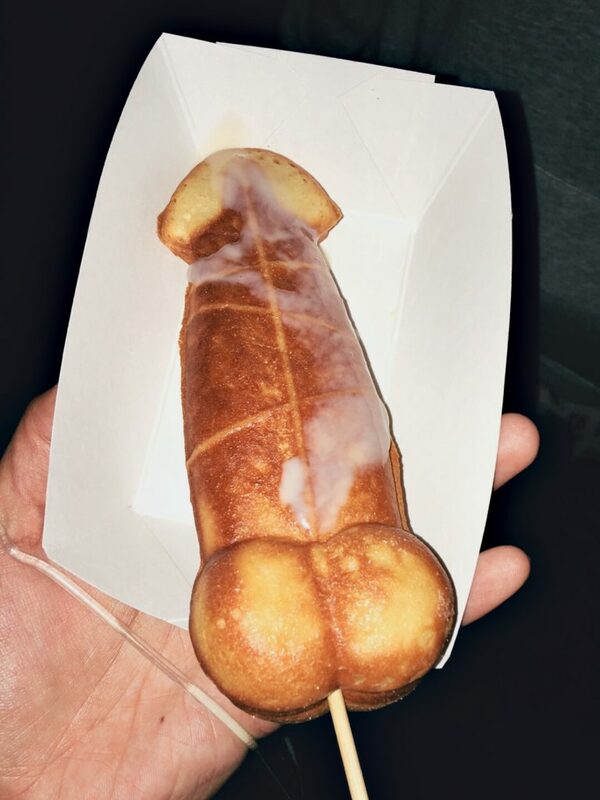 D-Cake from OC Night Market.